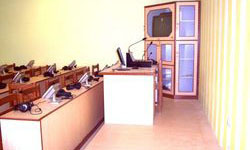 We have emerged as a distinctive manufacturer, exporter and supplier of Electronic Educational and Security Systems. Our product range finds its wide application in various areas such as school/colleges, offices, and telecommunication industry. These products are specially designed and manufactured using advanced technologies to ensure the excellent performance of our range. Our clients appreciate our product range due to its reliability, user-friendly operation, easy maintenance and long service life. We are on the leading manufacturers and suppliers of all kinds of Electronic Educational and Security Systems. Also offering programmable autobell and school broadcasting system. 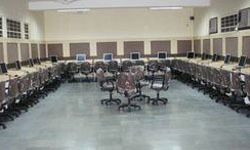 Engaged in exporting and supplying of Laboratory Furniture such as computer lab furniture and wooden laboratory furniture. Also offering play school furnitures and classroom furniture. which are widely used among most reputed schools and colleges through out the country. 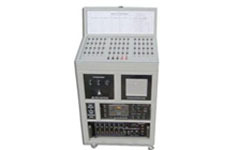 Exporting, supplying and manufacturing Broadcasting Equipment such as school broadcasting system and electrical broadcasting equipment. Also offering conference system and programmable auto-bell. Digital and Push Button types, meant for the Principals to communicate with their students.